With wild rocket, tomato, pesto & Parmesan. 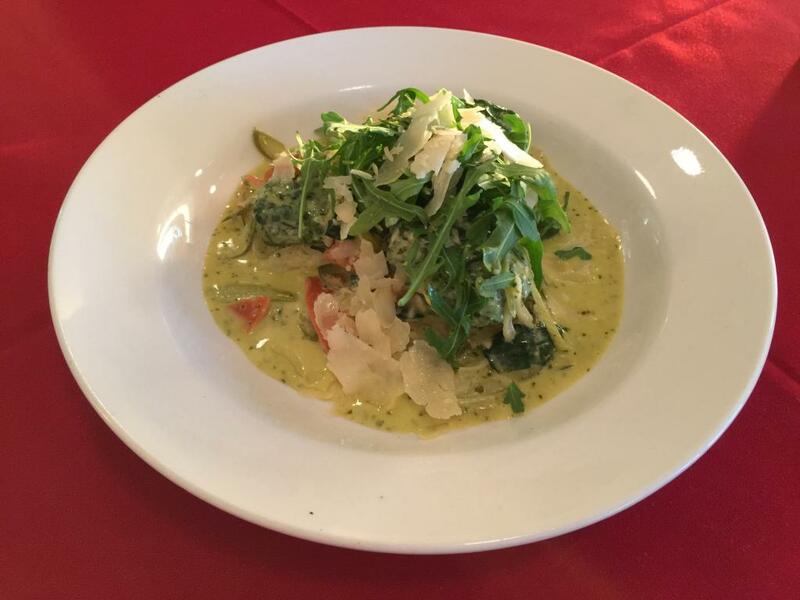 I dig under the green stuff, to find the gnocchi, but discover that the green stuff IS the gnocchi. The gnocchi is in three giant clumps. They're more like cheese and spinach, than gnocchi, though they have a strange doughiness about them. Despite this, the tomatoes, onions and herbs in the sauce give this a reasonable amount of flavour. I just can't get away from the doughiness of the ricotta gnocchi. 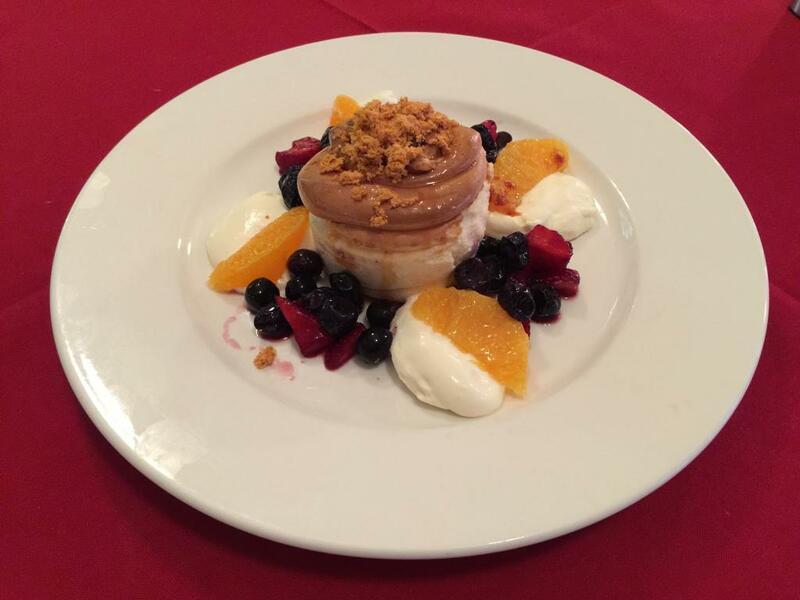 Soft baked meringue in a toffee sauce with orange segments, mixed berries & honeycomb dust. If I don't like this, I can always light it and hurl it at the police. The bit in the middle is just a giant, soft, fluffy meringue. However, the toffee top adds an interesting hint of flavour. On top of that, the honeycomb adds a slightly bitter taste, that adds a little bit more depth to the meringue. This dessert is let down by its complexity. There's just too much going on. It makes more sense if I eat the fruit and cream separate from the meringue, but what eventuates is just a giant messy pavlova.